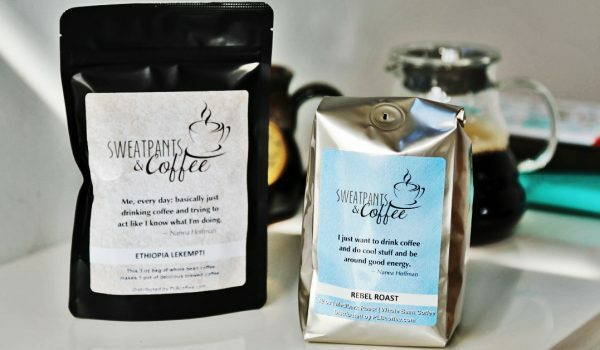 When Joe and Heather Juliani were brainstorming about starting a coffee company, they had two things in mind: great-tasting coffee and finding a way to help others. They both knew that they wanted a coffee that tasted great, something that people would love, so they could set the stage for their main goal: supporting children’s charities. Joe made phone calls, sent emails, and made connections with people. Heather calls him a natural “connector” who has no qualms about reaching out to those in the industry. They shared something about the process that made me beam with a little bit of pride for the coffee community. “We found that, unlike a lot of businesses, everyone was very willing to help us and genuinely wanted to see us succeed. We’ve partnered with some of the best farmers, bean brokers, and roasters in the business. We roast the beans weekly so you know your coffee is always going to be fresh,” according to Heather. That’s a side of the bean industry that I don’t often hear about. The building of a whole industry community is really something. They were able to make great contacts in the Fair Trade market. But Heather and Joe want to offer their customers and their communities more than just a great cup of coffee. The Julianis want to make a difference. And if you look closely, you can see their desire right in their logo. The Julianis wear their hearts on their sleeve. One thing that really sets them apart is that they offer custom-made labels. You can make a design, send them a photo or whatever you like, and they will make it happen. Their custom labels are available for all sorts of events, everything from Christmas “cards” to baby showers to the countless charity events in which they are involved. The Julianis donate a portion of the proceeds to charity from every single bag of coffee sold. They find charities through sources including their friends, family, and church community. Their fundraiser option is pretty phenomenal as well. They offer $4-$5 back to you for every unit you sell during your fundraiser. I can Heather. I really can. It’s coffee with a cause. It was kind of an amazing moment, opening the box of coffee. Because there in front of me was the Sweatpants & Coffee logo. On an actual bag of coffee. I’d be lying if I said I didn’t tear up a bit seeing Nanea’s quotes on the thing that connected us all. It was pretty awesome. That fresh bean smell just took over the kitchen. There’s something really special about newly roasted beans. The notes are vibrant and lively. I had the chance to taste the Rebel Roast and the Swiss Water-Processed Decaf. Each bag of coffee sells for $14-$15 each. A portion of the proceeds from every single bag goes back in to the company’s charities. So not only are you getting a great product, you are giving back every time. Swiss Water-Processed Decaf—I never thought I’d say this but I really love their decaf. There are nutty, chocolate notes in every sip. It’s almost creamy! What’s so special about the process is that it’s a 100 percent chemical-free process that strips the caffeine out of the beans. Rebel Roast—The Rebel Roast is really smooth. There are notes of smoke and fruit that are not bold but very present in the flavor. You can actually taste the flavors separately with every sip. The finish is very clean with no bitterness to it. Joe and Heather wanted to share the love with our Sweatpants and Coffee Audience so we are doing a pretty killer giveaway. 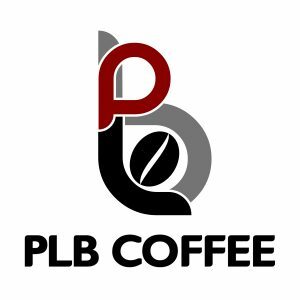 SIX MONTHS of free coffee from Precious Little Bean Coffee. SIX months! That’s half a year of Coffee for FREE!